Today, that is on November 12, Google is showing the popular French sculptor Doodle of celebrated sculptorist Auguste Rodin to commemorate his 172nd birth anniversary. 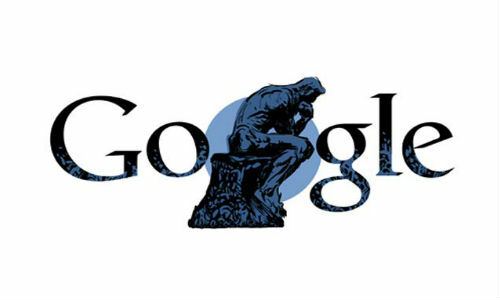 The Doodle depicts Auguste Rodin's famous work "The Thinker" (Le Penseur in French) which is a bronze and marble sculpture by the French artist, and the sculpture is now in the Musée Rodin in Paris. Reportedly, there are some 20 other original castings, as well as various other versions, studies, and posthumous castings. It depicts a man in sober meditation battling with a powerful internal struggle. It is often used to represent philosophy.